We love reading insightful articles from other companies as to why signage works. 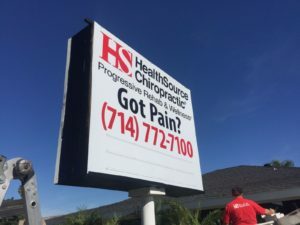 The following two articles (one from Small Business Trends and the other from Chron) are awesome resources in to why signage should be a top marketing priority. In a square mile radius in Germantown, Maryland, are about 6 Asian grocery stores. Yet I visited the one store whose location was way off the main road and was difficult to find. I saw a sign for the business in another Asian grocery store and knew that they stocked goat meat, which is a delicacy for meat eaters from the Indian sub-continent. I can’t tell you how many countless times I have used a new business based on their business signs. 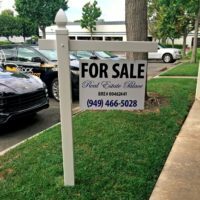 Business signs work – and here’s why. For a brick and mortar small business your sign is important as it acts like a guidepost to guide customers to your place of business and attract the attention of new customers. If you are a new business, people driving by will be attracted to stop in and try your business. People moving to the area look for local businesses that they can start visiting. A sign should always be neat and bright and should convey the promise of your brand, convey the high standards of your business, your differentiation. A sign board that is damaged or smudged may fail to convey your brand. When Groupon rented ad space outside Living Social’s offices in downtown Washington, D.C. it created some buzz. You see these signs often on highways advertising restaurants or gas stations just a few miles ahead of an exit ramp. 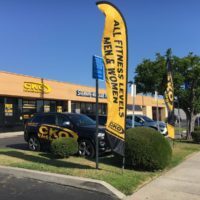 Signage is important in a high traffic location as overflow traffic from other places can find your business and make an impromptu decision to use your business. Take a look at the picture at the very top of this post from an Irish pub in the Cleveland Park area of Washington, D.C. that advertises their Facebook page. Adding your website url to your sign is a good idea for people who don’t have time to stop and can check you out later. Adding a QR code is a good idea if your sign can be scanned easily. In photos of your business on your website, it may be a good idea to include pictures of your businesses physical location, signage and neighborhood. So that when people visit, they are already familiar with how the business and surroundings look. More and more people are finding your business online, but that is only half the story. If you have a great location, you can also appeal to new people who are walking past your business every day. Do you have a success story about using signs for your business?